Dr. Janis Sarra is appointed as UBC Presidential Distinguished Professor. The UBC Presidential Distinguished Professor recognizes faculty who have made outstanding contributions as scholars and academic leaders. Prior to this appointment, Dr. Sarra served as Director of the Peter Wall Institute for Advanced Studies at UBC. Dr. Sarra is Professor of Law, at the Peter A. Allard School of Law and founding Director of the National Centre for Business Law. She served as Associate Dean of the Allard School of Law until 2007, with oversight of development, strategic planning, alumni relations and communications. Dr. Sarra’s research and teaching interests are in the areas of corporate finance, banking law, corporate governance, securities law, contracts, commercial insolvency law and law and economics. In 2004, she was awarded the title of Distinguished University Scholar for her scholarship in corporate and securities law. She has published ten books and more than one hundred refereed articles in corporate finance, corporate governance and management, securities law and commercial insolvency law. Dr. Sarra also served as Senator of the University of British Columbia from 2003 to 2008. She was previously Director of the Canadian Insolvency Foundation and Director of the Canadian Insolvency and Restructuring Professionals Association. For more than twelve years, Dr. Sarra served as a commercial arbitrator and labour mediator/arbitrator. Dr. Sarra previously served as Vice-Chair of the Ontario Pay Equity Hearings Tribunal, as well as Vice-Chair of the Canadian Social Assistance Review Board. She holds five degrees from the University of Toronto in Political Science, Economics and Law. She previously taught at the University of Toronto Faculty of Law and the Ryerson University School of Business. Former posts include also Board Member, Ontario Labour Relations Board, Senior Research Associate Ontario Legislative Assembly and Executive Assistant, Metropolitan Toronto Municipal Council, and Research Associate, Health Advocacy Unit. Dr. Sarra’s contributions to public policy development include: World Bank Insolvency and Creditors Rights Task Force, Working Group on Insolvency of Non-Bank Financial Institutions, 2009, Washington, DC; Experts Committee, United Nations Commission on International Trade Law (UNCITRAL) Working Group on Corporate Groups and Cross-Border Insolvency Law, 2008-2011, Vienna and New York; Expert Witness, Senate Committee on Banking Trade and Commerce, Review of Insolvency Legislation, February, 2008, Ottawa; Member, Ontario Attorney General's Interministerial Task Force on Administrative Tribunals. Recent books published include Rescue! (Carswell Thompson, 2014); The 2017 Annotated Bankruptcy and Insolvency Act, (Carswell Thomson, 2017); Securities Law in Canada, 3rd ed, with M. Condon, A. Anand and S. Bradley (Emond Montgomery, 2017); Business Organizations Practice, Theory and Emerging Challenges, with Robert Yalden et al (Emond Montgomery 2017); Director and Officer Liability in Corporate Insolvency, 3rd ed with Ronald B. Davis (Butterworths, 2016); The Treatment of Employee Wage and Pension Claims in Insolvency, A Comparative Study of 62 Jurisdictions (Thomson Reuters, 2008); Creditor Rights and the Public Interest, Restructuring Corporations (University of Toronto Press, 2003). She was editor and contributing author of An Exploration of Fairness: Interdisciplinary Inquiries in Law, Science and the Humanities (Carswell, 2013) and A Voice for Many (2012). 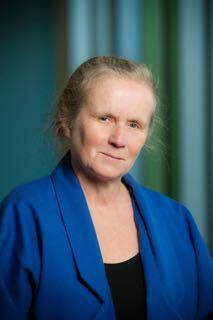 She serves as Editor in Chief of the Annual Review of Insolvency Law, Canada’s leading refereed annual volume of insolvency law theory, policy and practice; and was editor in chief and contributing author of Corporate Governance in Global Capital Markets (UBC Press, 2003). Dr. Sarra also engages the performing and visual arts to assist in communicating research regarding global financial markets and the need for greater fairness. Recent efforts include: co-creator, The Foreclosure Follies: Greek Chorus and Financial Markets; author and poet, Narratives of Harm from the Continuing Global Financial Crisis: Using Poetry and Dance as Education Tools on Complex Issues (Oxford, 2016); author, Le rôle et le rythme de la chanson de travail dans la lutte pour la justice sociale (forthcoming, 2017); and song writer with Mary Castle, L’heure de la justice sociale est venue.